Having your Wheels Aligned properly will prolong the life of your Tyres. 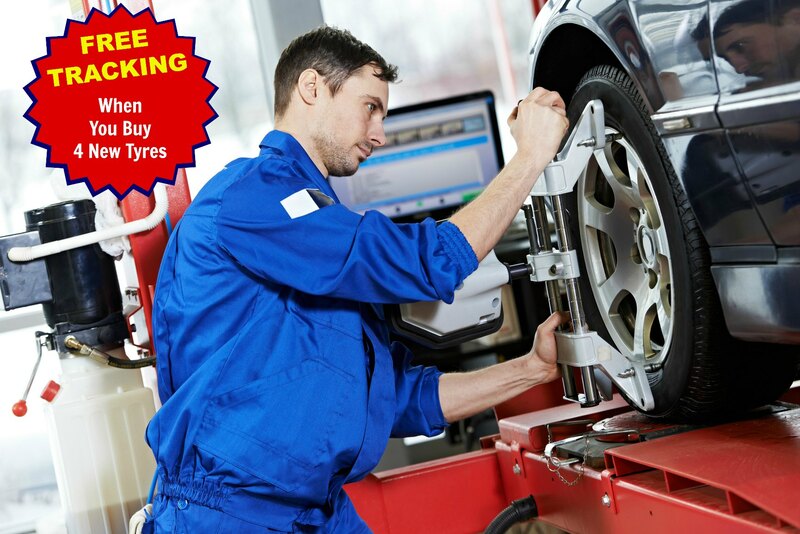 We offer a full FREE WHEEL ALIGNMENT service when you purchase 4 new tyres from us. Common reasons for wheel alignment problems are worn steering and suspension joints, or regular driving on poor roads with lots of pot holes. If you are not purchasing tyres from us but would still like to avail of our Wheel Alignment service, we will check your steering and suspension parts before aligning your wheels with our wheel alignment gauges. Alignment and checking for most vehicles cost €30 and this small investment can save you hundred of euro when your tyre wears out quickly and unnecessarily, but remember this is FREE when you purchase 4 new Tyres from us.